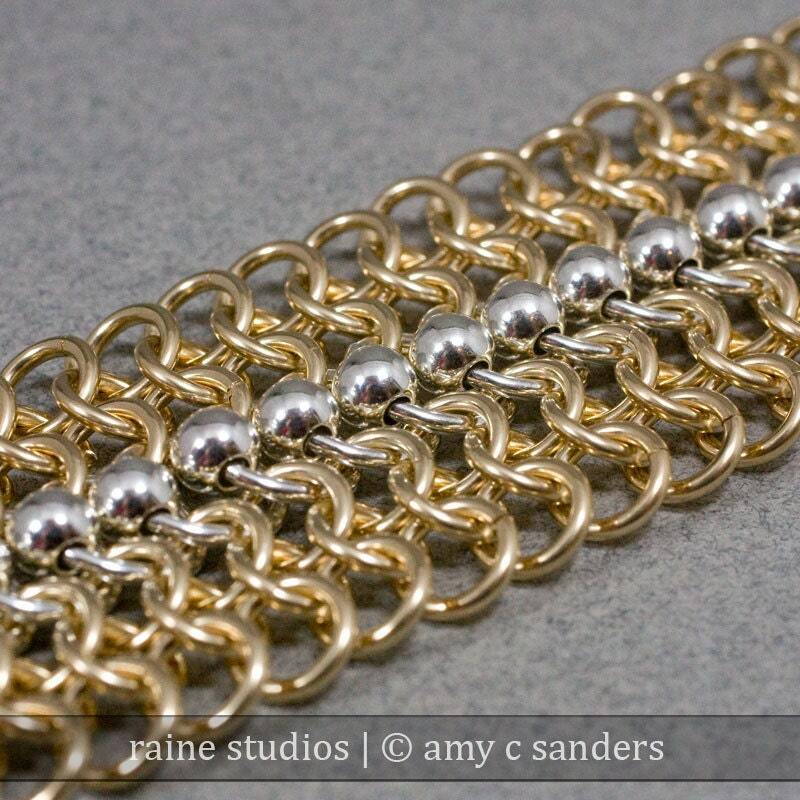 A 14k gold fill and sterling silver silk chain bracelet woven in the chain maille weave of european 4-in-1, with some lovely sterling silver beads woven in a strip down the middle. A perfect accessory to dress up with for a night on the town, or to slip on with jeans, for classic casual elegance. This weave will take your breath away - the sway, the drape of it feels like fabric. All woven one ring at a time with my own handcut jump rings. Please leave a note on your desired length when you checkout. I recommend about 1 inch added to your wrist measurement.